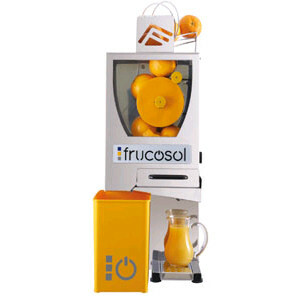 The F-Compact is the newest automatic juicer Frucosol and is smaller and more compact than the other models. 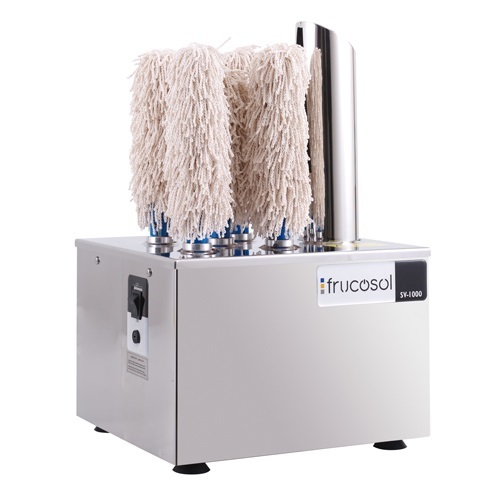 In a minimum space, the F-Compact combines versatility, functionality and a design that makes it suitable form any type of business. 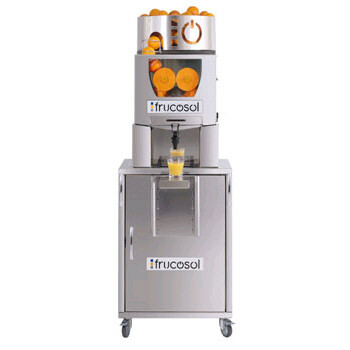 Quality Fresh Juice – Juice is produced with gentle squeezing and minimal manipulation of the fruits, which results in less bitter compounds in the fresh juice. 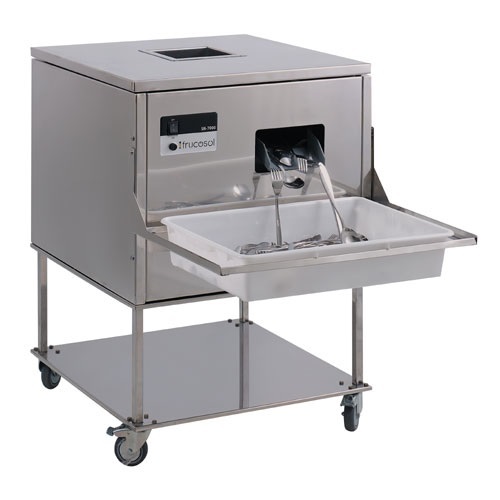 Quality Construction – An attractive stainless steel housing and lots of technical features packed into a small and light machine. A simple design and only a few moving parts means less problems. Open Design – The front opening allows for easy viewing of the natural squeezing process.